Being green's most ambitious project to empower tribal hamlets of rural Maharashtra in the Jalgaon Jamod district. Bhingara, Gomal & Chalistapri barely exist on map and disappeared from government consciousness with a population of around 2200 people. Being green taking in consideration of their plight of no electricity, water fetching & education facilities, we decided to empower these villages. In the second week of July 2017, we visited the village and installed integrated solar street lights at regular intervals, water pumps in two villages where the distance from well was more than 500 m & that too on a steep way and to promote education in the village we distributed stationary and 50 set of blankets. For more detailed information about the project, please get in touch with us and we would be happy to share length & breadth of the project. Our NGO believes that green means tranquility & development and the best form of measuring the development is by the literacy rate of the nation, as the education is the root of a person’s character tree and the education has the power to nurture the human life. The literacy rate of India is very poor with just 74% literate, which varies drastically from state to state and even the state capital, Delhi which has a huge population of street dwellers, slum colony, and labor class families who didn’t send their kids in school because of their orthodox approach. With keeping this in mind we have started the initiative called LAKSHYA, through which we will promote, educate the poor kids by giving them free classes and eventually admission in a certified school, so that these kids could contribute in the success of developing India. -nurture them to build a strong nation! 15th August, Independence day marks an important day for all Indians, a day of a fresh start, a day for a new beginning, towards a progressive India. So, Being Green started, with the same progressive vision of beautifying India on 15th August 2014 as it is inaugural day and holding it is very 1st event of plantation and promise to follow the tradition every Independence day. Earth Day is an annual event, celebrated on April 22, on which day events worldwide are held to demonstrate support for environmental protection. Being Green believes one of the bestest & fittest way to save our environment is to increase the Green cover and forest land.Environmentalist from ages suggesting the term "GO GREEN" to celebrate Earth day, but Being Green encourage the term "ACT GREEN" by motivating people to plant more trees around their surroundings, make our earth more "GREENER"
Social media is the most vibrant platform to connect to people in this internet age. Keeping this in mind we have started a campaign of planting a tree on every hundred likes on Being Green Facebook page. Please help us & promote us by liking on our facebook page so that we could plant maximum numbers of trees. #100LikesForATree. Being Green's main agenda are Plantation, Environmental Awareness, Natural calamities relief camp, Social Empowerment & Child Education. Being Green believes in developement for all members of society because whole world is a family & humanity is the greatest creed. Festivals means celebration or mark of something new, Festivals bring many people together. This gives Being Green a chance to connect with them at one spot and make them aware of benefits of tree plantation and involve those people in further events and activities. 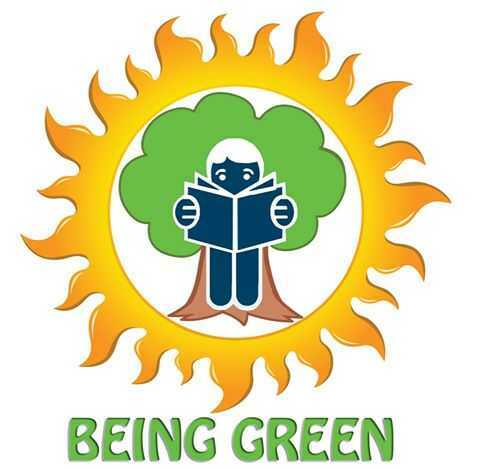 Being Green's one of the core value is humanity & comfort to all, therefore Being Green involves in distribution of warm winter's clothing to the needy people who have to spend thier nights on the road of Delhi chilling winter by providing them warm clothings like blankets, jackets, gloves etc. Partner with young and dynamic NGO-Being Green and stands out in the crowd. If you wished to plant a tree for a reason or no reason, If you have taken a New Year resolution to give it back to society this year, To repent your carbon footprints or any other other reason to be activist. Than partner with us. If you know the location anywhere in Delhi-NCR where plantation is required, please share with us and be a STAR activist of Being Green.